Coming to Muckrach 15thJuly 4pm until 9pm, Event in a Tent! Join us for a summer evening of entertainment and tribute acts. 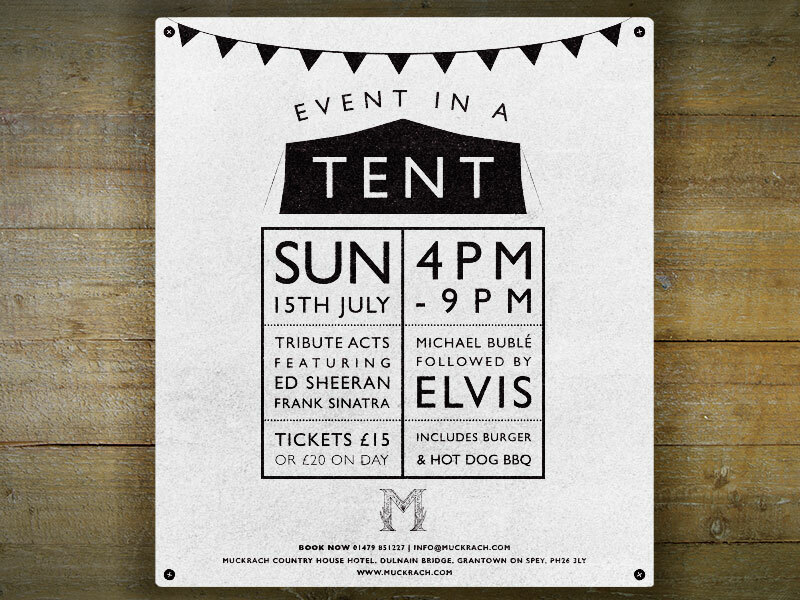 Artists such as Ed Sheeran, Frank Sinatra, Michael Buble and Elvis performing all evening! Tickets are priced at £15 or £20 on the day so book with us now to avoid disappointment. Why not join us for our weekend long charity events? Friday 13th July welcomes a Murder Mystery to Muckrach or book tickets to the Opera Gala Event on Saturday 14th July!